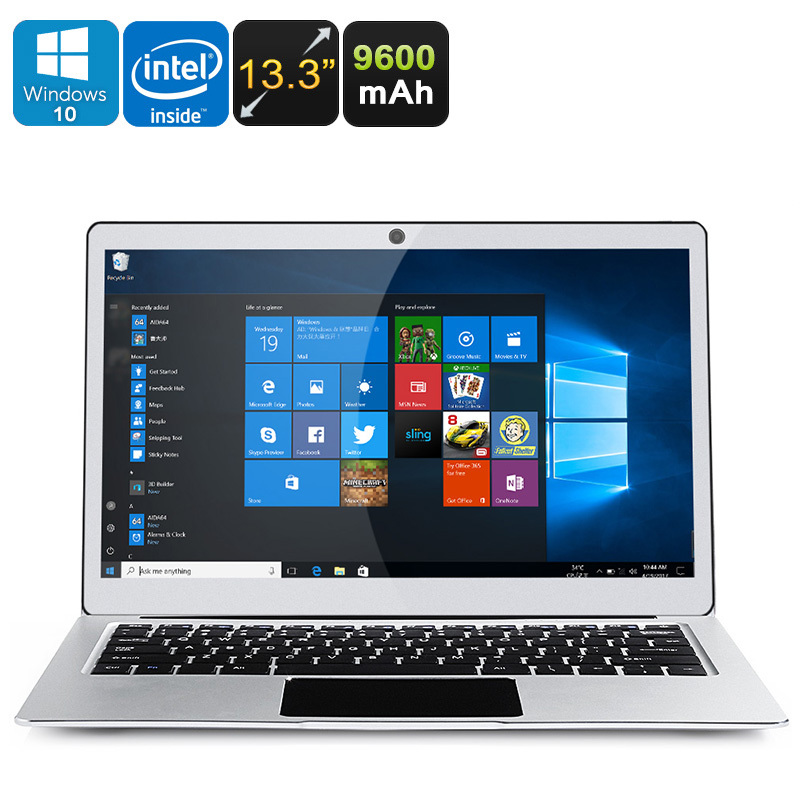 Successfully Added Jumper EZBook 3 Pro Windows Laptop - Intel Celeron N3450 CPU, 6GB RAM, 13.3 Inch Display, 9600mAh, Unlicensed Win 10 (Silver) to your Shopping Cart. The EZBook 3 Pro laptop brings a super performance, great design, and incredible price. The EZBook 3 Pro laptop from Jumper has been well designed and with its metallic body looks like the MacBook Air. It has a similar tapered profile, a metal body and of course, the 13.3-inch format will be very familiar. The laptop runs Windows 10 and with its Intel Celeron N3450 CPU and 6GB of RAM the EZbook 3 Pro offers a portable computer experience at a fraction of the price of a MacBook. A 13.3 inch IPS display delivers realistic colors and wide viewing angles, with full HD resolutions at 1920x1080 you get sharp crisp images and text. It is lighter than the EZBook 2 and weighs in at a mear 1.4kg, this makes it exceptionally portable and suited to life on the go. Above the screen is a small web camera that can be used for video chats. with a 9600mAh battery, you'll get some respectable usage times. There are 64GB of storage and a micro SD card can be used to add an additional 128GB if required. The EZBook 3 Pro laptop is suitable for your day to day computing needs and at its low price make this a great budget buy. The EZBook 3 Pro laptop comes with 12 months warranty, brought to you by the leader in electronic devices as well as wholesale laptops and computer gadgets..